In this quick video, chef Stephanie Izard explains the benefits of brining. If you’re convinced, here are five great brines to try on your Thanksgiving turkey this year. Every Thanksgiving, we are confronted with a daunting question: To brine or not to brine? In this quick video, chef Stephanie Izard explains the benefits of brining. If you’re convinced, here are five great brines to try on your Thanksgiving turkey this year. A mix of apple juice, green apple, orange, herbs and spices like coriander, fennel, tarragon and sage infuses the turkey with bright and rich fall flavors. This spicy-sweet brine is perfect if you’re going to fry the turkey. Adding Guinness, or any dark beer, to a brine gives turkey a toasty flavor and helps give the skin a dark brown color. This spiced brine gives the turkey a terrific smoky flavor. 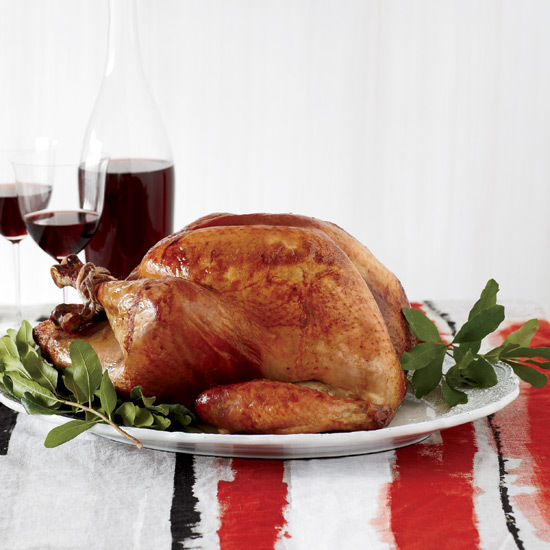 One of the best wines to serve with turkey, Riesling is also incredible in this fruity, floral, aromatic brine.